The internet is no longer a place for serving up predictable content and accepting predictable traffic. Traffic often comes in spikes, and sites need to scale to meet demand and ensure the success of new services. That way, administrators can stay nimble and efficient in the cloud, on premise or in both places. If that’s the case, then tools for provisioning should be not only easy to use but fast. Opscode’s Chef and Puppet Labs’ Puppet (see disclosure) have gotten plenty of use in recent years as open-source configuration-management tools, but devops people have also been giving nods of approval to a lesser known but arguably faster product called SaltStack. While Co-founder and CEO Marc Chenn cited speed as a differentiator, the other is the language in which users can make SaltStack commands: Python. 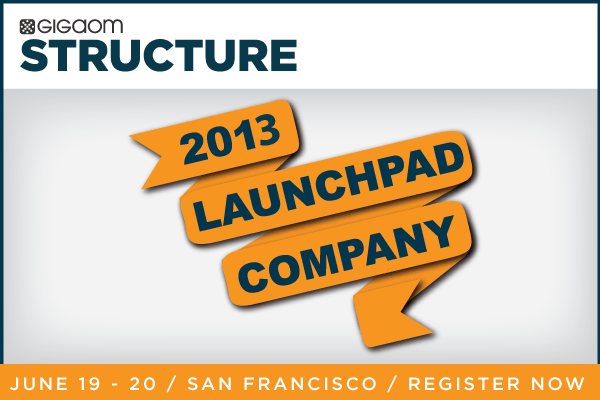 Those characteristics help qualify SaltStack as a finalist in the Launchpad competition to be held at GigaOM’s Structure conference in San Francisco on June 19-20. “There was a collective sigh of relief when SaltStack came to the market,” Chenn said. SaltStack can “introduce to (developers) a framework and a solution in a language that was preferable to them.” As opposed to Ruby, that is. The product has roots in the experience of Co-founder and Chief Technology Officer Tom Hatch, Chenn said. Hatch (pictured) worked as an infrastructure architect on managing large and complicated infrastructures for different groups inside the U.S. intelligence community, as well as at enterprises, Chenn said. He was a heavy Puppet user, and he was also familiar with Chef. But the tools weren’t good enough for his taste. “None of the tools were quite fast enough,” Chenn said, and they were hard to implement on complex infrastructures. So he started constructing SaltStack project. He open-sourced it in February 2011. The tool has received praise on several Hacker News threads. It’s also come in handy for devops pranks such as popping open hundreds of server CD-ROM trays at a time. But it’s not all fun and games. The company has 120 paying customers. While it can’t call Facebook (s fb) one of them, as Opscode can, SaltStack does count another webscale player, LinkedIn, (s lnkd) as a user. The company runs SaltStack to do manage configuration across tens of thousands of nodes, said SaltStack’s vice president of marketing, Rhett Glauser. And SaltStack is looking to get more big companies using the tool. Earlier this year, following similar moves by Opscode and Puppet Labs, it came out with an enterprise package, which provides support for large deployments. It could be challenging to win over devops people, given Puppet and Chef’s popularity, but Chenn doesn’t come across as too concerned about that. “Clayton Christensen’s on our advisory board,” he said. Disclosure: Puppet Labs is backed by True Ventures, a venture capital firm that is an investor in the parent company of GigaOM/paidContent. Om Malik, founder of GigaOM, is also a venture partner at True. Check out Ansible. It is even more simpler and just as fast.